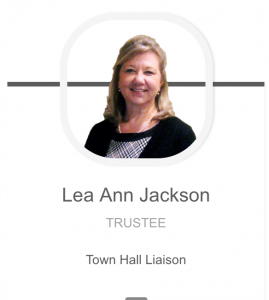 Lea Ann Jackson was first elected to the Luther Town Board of Trustees in 2015 and resigned in 2016. After a change in town leadership, she was reappointed to the board to fill a vacancy in 2018. Her seat is up for election this year, with filing February 4 – 6, 2019, at the Oklahoma County Election Board. But unless there is a change of heart, Jackson has said will not run again, citing other commitments demanding her attention. 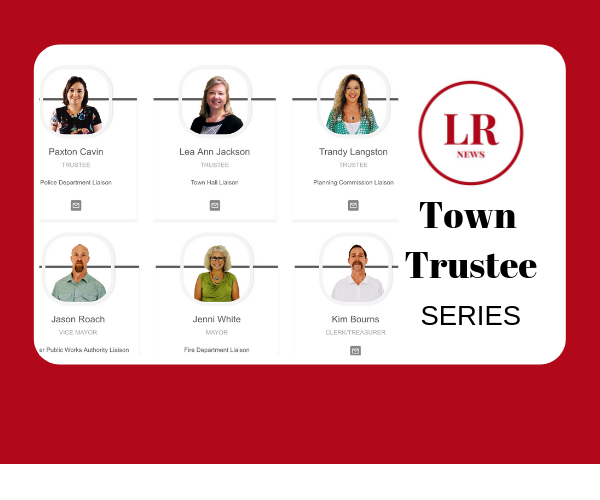 As Trustee 2, Jackson is the second board member to feature for this series, TOWN TRUSTEE REVIEW. We featured Trustee One Paxton Cavin first. We asked all of the trustees to list the board’s top three (at least) accomplishments and why, and to mention challenges ahead. “I can’t say enough about the experience of participating on the Board these last 18-20 months. I think an important note regarding this Board is that everyone is free to voice their opinion, each board member considers the points made by the other board members and public, and votes according to what they believe is best for the community. Once the vote is done, we move on. Regardless of how one may vote on an issue, we still respect each other and treat each with respect. “I feel really good about all the individuals currently employed by the Town/LPWA. They work well together and care about the Town. I would ‘repeat’ my previous comment but apply it to Town/LPWA employees. They respect one another and treat one another with respect. “There has definitely been improvements in the financial oversight/management of both Town and LPWA. The independent auditor verified this when presenting the FY 2018 audit report. The Town and LPWA have been able to set aside funds in certificates of deposit. I’m confident that while we’ve improved in this area, we haven’t hit our peak but will continue to develop. Jackson: “It can be difficult to go from reviewing accomplishments to assessing goals because I don’t want to take away from those accomplishments. But we do have areas in which we need to continue to focus efforts. Probably the biggest issue facing the Town/LPWA is the need for infrastructure repair and replacement. For just four words, that entails a lot. Detailed defining of the needs, prioritization of those needs, ability to pay for the projects and necessity of successful grant applications are just the start of that. “I’d also like to see us continue to work on transparency and accountability by making all documents which are reviewed by the Board in their meetings available electronically to the public (and even the Board) several days prior to the meeting. As much as anything, the Board has to set and abide by deadlines for submitting items for inclusion on an agenda as well as the supporting documents for those agenda items. This may be a bigger issue to me than anyone else as I envision not being on the Board but wanting to still see everything. Jackson: “So many thoughts whizzing through my mind on that one. One of the highlights of my board experiences is the learning. There are so many things that the average person just doesn’t think about but that have to take place to keep a municipality running. I don’t think anyone who sets out to serve on the Board can adequately anticipate the issues that will be presented or be fully prepared. I mention this for two reasons: One is so that someone who might be interested in serving wouldn’t discount the idea because they don’t know the intricacies of public utilities or fire or police departments but approach it with an understanding that they will need to work to gain the needed knowledge. I also mention it because I think of the times that AFTER a vote, someone will say ‘well why didn’t you consider/do XYZ.’ Quite simply, we may not have thought of it. People should consider attending the meetings and sharing their ideas, especially if it is an area where they have unique knowledge. We’re all simply looking for the best solution, not claiming to always have the best solution. “On a related note, I would encourage individuals to share their thoughts, ideas, suggestions and even constructive criticism by either attending and speaking at a board meeting or sending an email to the trustee(s) with their contact information for possible follow up. Communicating via social media may be easy but isn’t necessarily the best method. 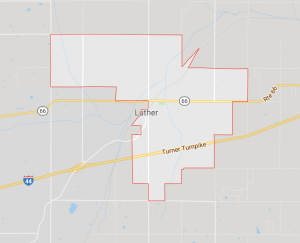 Click here for a candidate packet for filing to run for a seat on the Luther Town Board. Next in the series, we will hear from Trustee 3 Trandy Langston. Other stories in the series, Trustee Review, Paxton Cavin.